Since its release in early 2016, Street Fighter V has evolved a lot, garnering a strong community behind the game thanks to the Capcom Pro Tour eSports league and lots of enhancement throughout the time. But if a good part of the additions were known before its original release, other modes were added to the party until this Arcade Edition came along to begin Street Fighter V’s third season. So, is the game still worth it today? While the game comes out under the name Street Fighter V: Arcade Edition, the original is updated to gain its feature, including all the new modes for free. While I won’t be reviewing the core features of the original Street Fighter V here, I’d recommend you click here to read my original review published back in February 2016. Now if you wonder then what are the differences between the original Street Fighter V and those who buy the freshly released Arcade Edition, then It’s simple. Buying the Street Fighter V: Arcade Edition will give you access to all season 1 and 2 DLC packs full of characters and their alternative costumes, for a total of 12 extra on top of the original roster like Guile, Urien and Zeku, Note that these characters and costumes are also unblockable in-game, thanks to the fight money that you win in single or online combat, which makes it basically free, but you have to farm and grind heavily. It’s been more than 25 years since Ryu’s band members are sticking legendary gnos into battle arenas, with millions of fans behind the gamepad. A fundamental experience that has allowed the series to enter games of the genre into the pantheon, a genre of which has created codes and symbols known to all gamers and non-gamers. And so in Street Fighter V: Arcade Edition, we find your usual dynamic and accessible gameplay where quarter-circles thumbstick combos are king, and although there are still favorites in the roster, it is clear that this opus has oriented its vision towards a game more offensive and intuitive than usual (at least at the average player level). But it’s the arrival of the V-Skills and V-Trigger that really changed the situation with a devilishly simple system to understand and use, without losing depth. With Street Fighter V: Arcade Edition, Capcom has added some extra gameplay mechanics, with the arrival of a second V-Trigger for each character, to choose before the fight. This open possibilities to better diversify your tactical choices according to the opponent, without having to counter pick to a different character. For example, when Ryu triggers his V-Trigger II, he gains a super-parry against any sort of attack, which can be then chained into a deadly set of combos. A novelty that is currently difficult to gauge in terms of the impact on the meta, because in any case, it will take weeks to really understand all the changes, buffs and nerfs especially in the competitive scene. 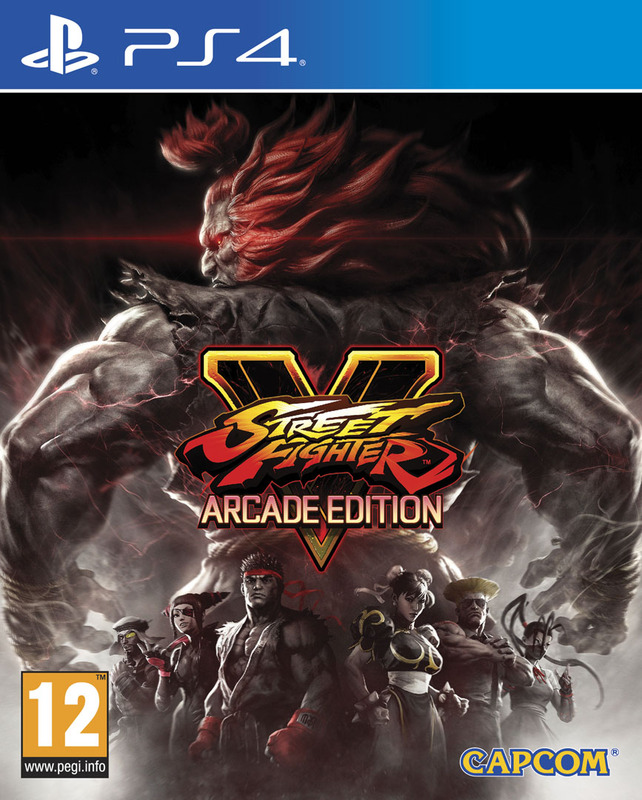 Also remember that Street Fighter V: Arcade Edition is also the beginning of a new season – 3rd to be exact – which will be marked by the arrival of new characters via a character pack (to be purchased separately unless you get the deluxe edition of the game). New to the game is the series’ iconic Blanka, Sakura which changed a bit since Street Fighter IV, Sagat and Cody. Plus we have brand new franchise characters, with Falke, a member of Ed’s organization Neo Shadaloo on top of G, a sort of Uncle Sam themed fighter which we know nothing of at the moment. In terms of the game modes, we welcome in particular the arrival of the Arcade mode, or rather “modes” with an S, since there’s six in total, all adapted from a different episode of the series. We thus can chain fights in a classic way, against characters of old opus, with some surprises from time to time. For example, if you finish the Street Fighter II Arcade mode without losing a single round, you face then Shin Akuma who will be happy to destroy you in no time. Arcade mode is still nice for singleplayer fans who want a simple old-fashioned challenge, with stage bonuses like in the good old days. This update also brings the Extra Battle Mode, which are sorts of challenges that require Fight Money to try out and are time-limited. For a few days, you can try to win rewards (titles, XP, exclusive alternate costumes) in challenges more or less hard. We regret just the lack of a clear mention of ​​the difficulty of the fight before paying your hard-earned Fight Money. Street Fighter V: Arcade Edition is the game that should've been when it was launched in 2016. Finally complete with numerous game modes, challenges and competitive elements, it offers a great diversity of options that combines with a gameplay that is easy to learn, but hard to master. A nice blend between the logical evolution of the genre and the nostalgic roots of a series that has marked the fighting game legacy, if not gaming's history as a whole.